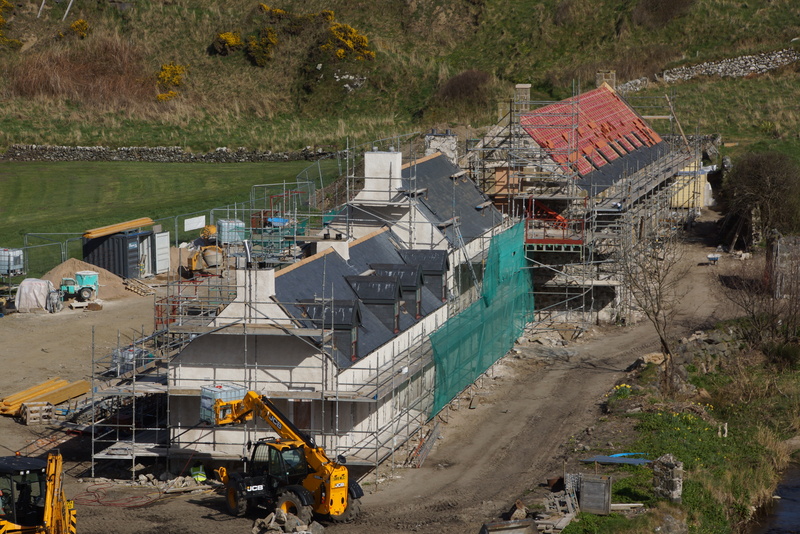 The buildings at the Back Green in Portsoy belong to North East Scotland Preservation Trust and have been listed as Category B (of regional importance) by Historic Environment Scotland. 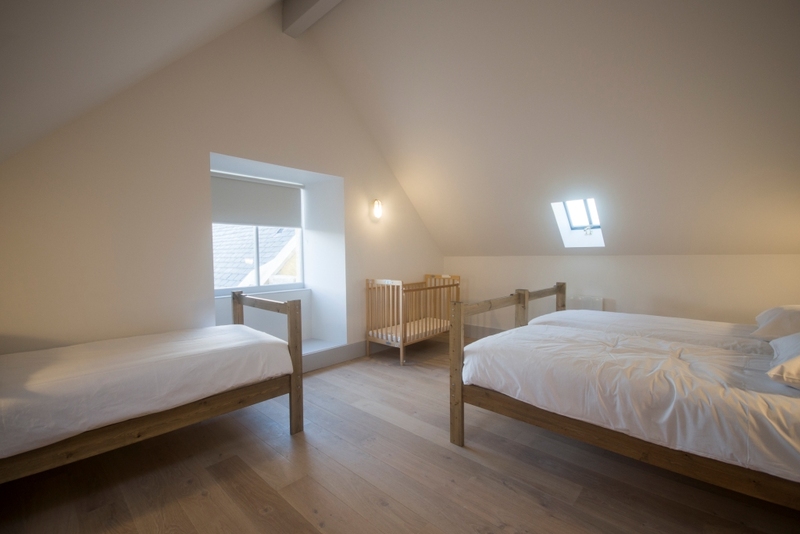 They date from the 18th Century and comprise a former Sail Making Loft, a finely detailed Georgian House and two associated cottages. 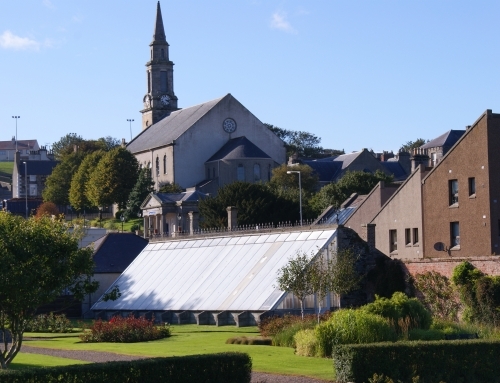 The open area at Back Green was once an industrial site used for the manufacture of thread for flax. 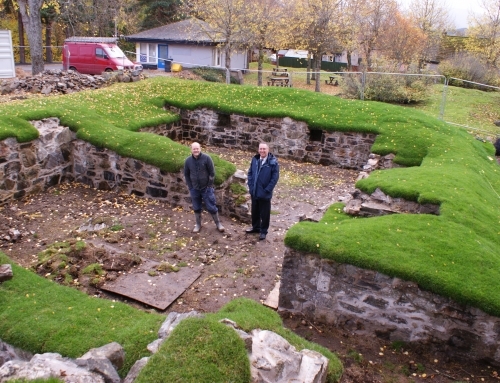 The area of “green” was utilised for the bleaching of flax, the reliable water supply from the burn providing ideal conditions for bleaching. 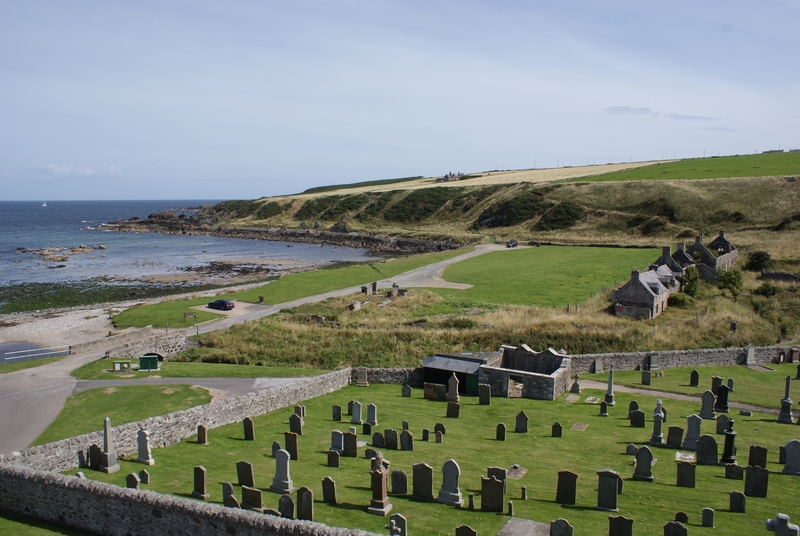 The name “Back Green” probably derives from bleaching green. 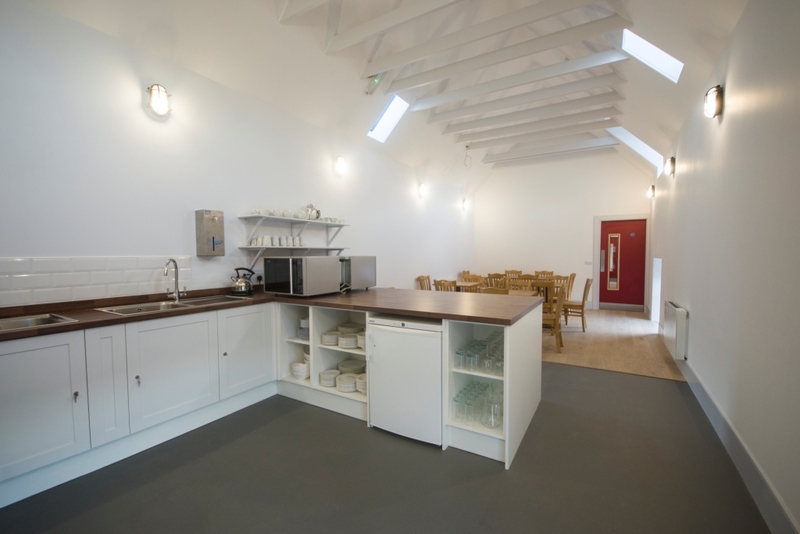 The finished thread was exported to Nottingham and Leicester. 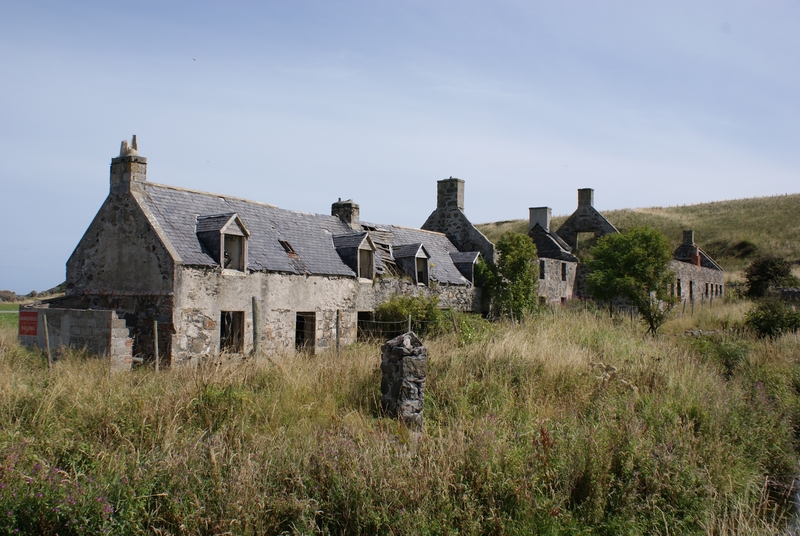 By the early 19th Century, the site contained two groups of buildings – the one to the seaward side operated as a rope making business, while the manufacture of sails took place within the eastern range, adjacent to the house and cottages. 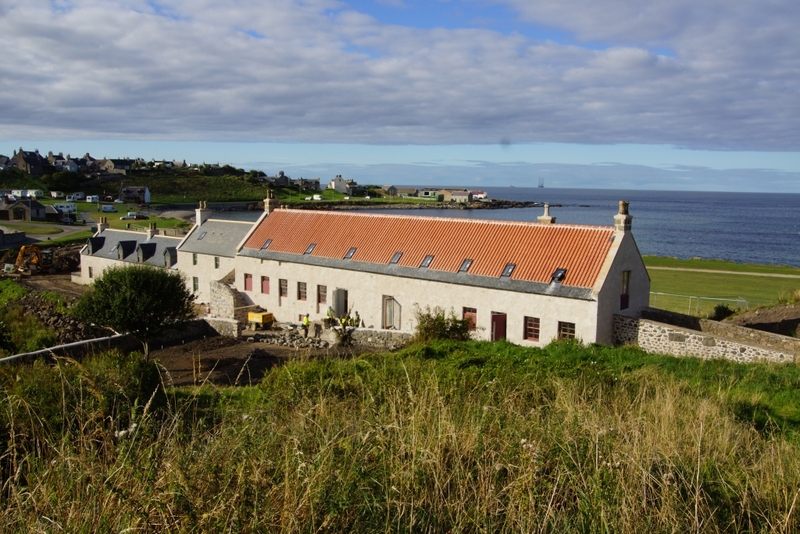 The ropeworks fell into decline and were lost to the sea; the former sail making factory, house and cottages survived. 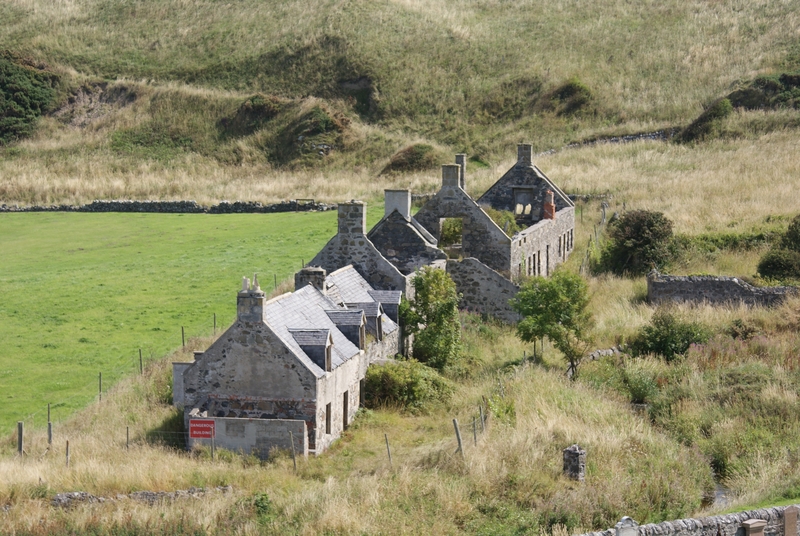 After the Sail Making Loft closed, the cottages continued to be lived in and one of them may have been a dairy. 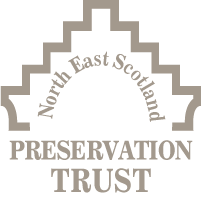 North East Scotland Preservation Trust acquired the buildings from Seafield Estate in 2006 and has been working to find a viable project to bring them back into productive use ever since. 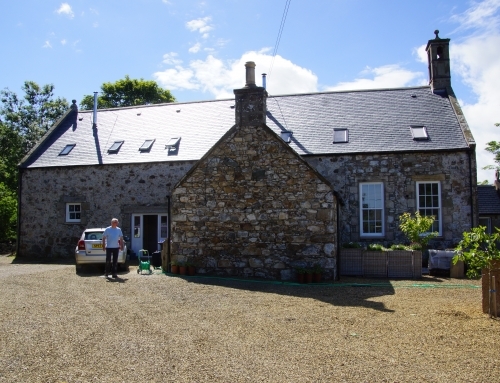 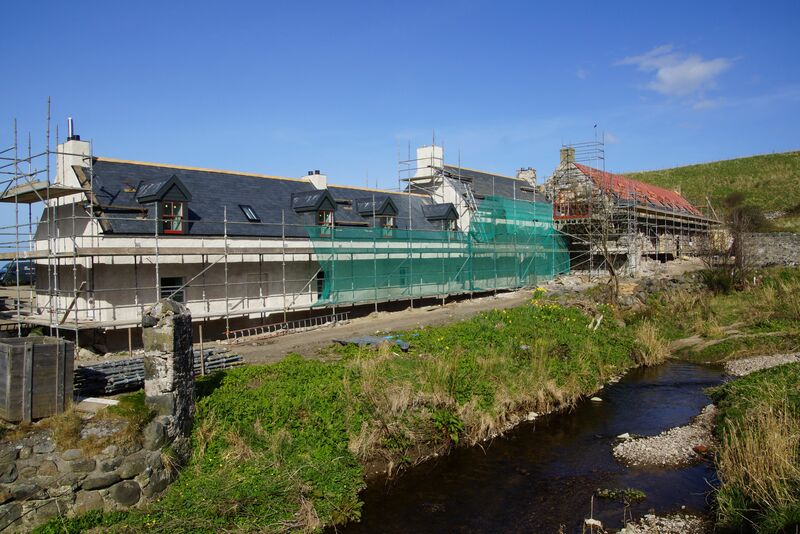 The Trust is delighted that work is now underway to repair the buildings and convert them into bunkhouse accommodation for visitors to Portsoy. 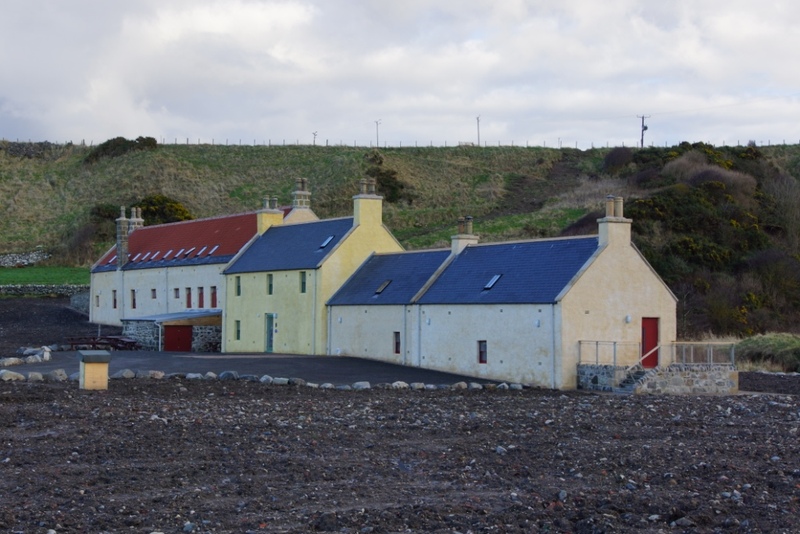 The £2 million project is being funded by the Heritage Lottery Fund, Coastal Communities Fund and Historic Environment Scotland (through the Portsoy CARS). 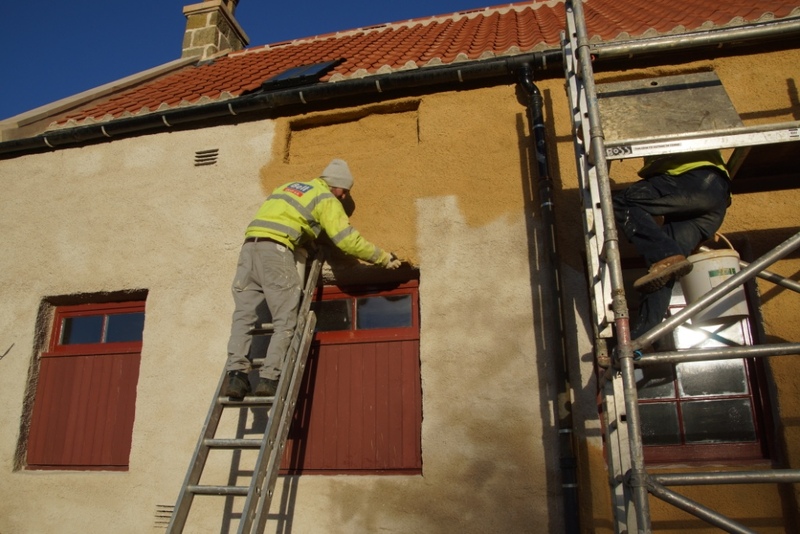 Loan funding during the construction phase is being provided by the Architectural Heritage Fund. 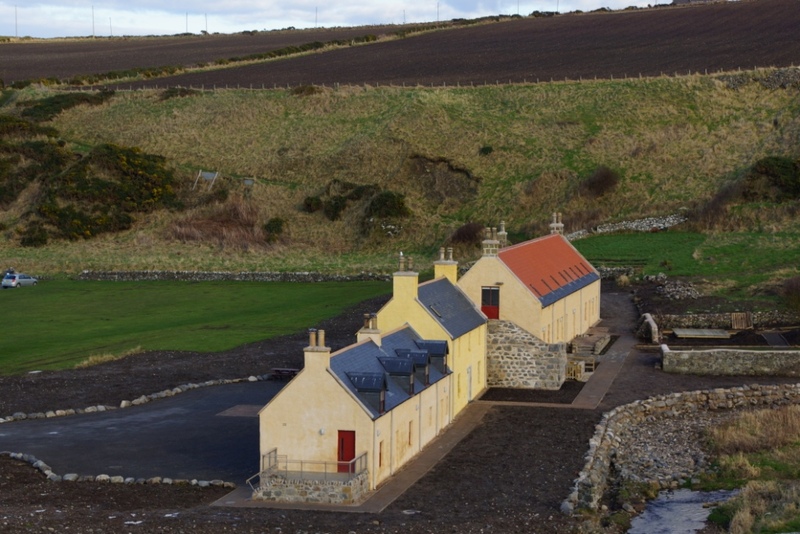 The completed bunkhouse will be named The Sail Loft and will be operated by the Scottish Traditional Boat Festival organisation. 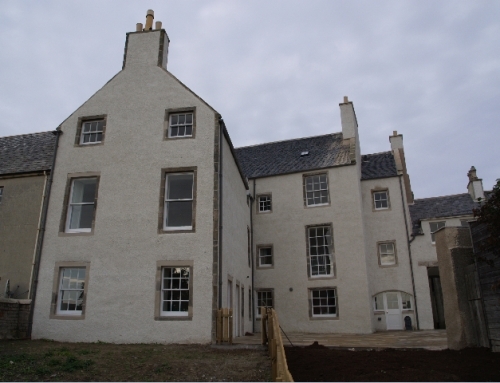 The work to the buildings currently being undertaken includes the following: necessary repairs to the fabric, maintaining the original appearance and character where reasonably practicable; conservation of the industrial heritage of the site; removal of the inappropriate elements such as the single storey blockwork extensions to the north, south and west of the cottages, keeping interventions to a minimum and contemporary in concept, ensuring any alterations made can be reversed in future. 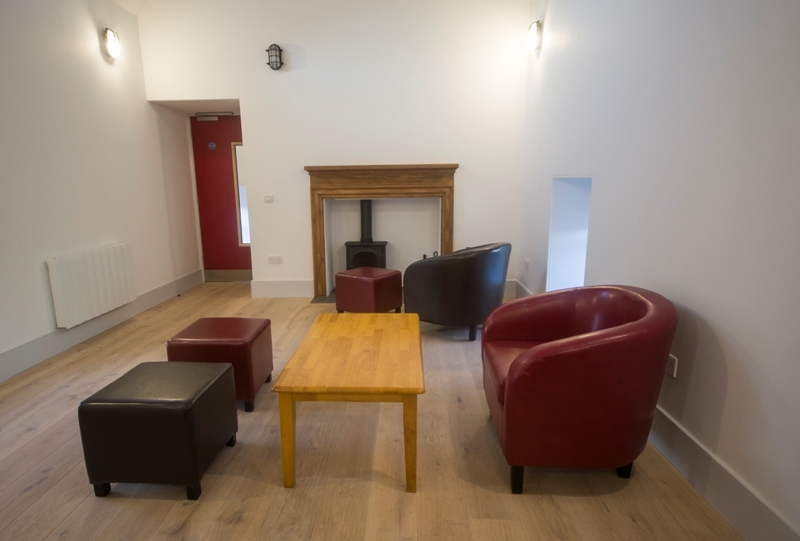 Self-catering accommodation will be provided for up to 25 visitors and will include a fully accessible bedroom and bathroom, with communal kitchen and lounge areas.